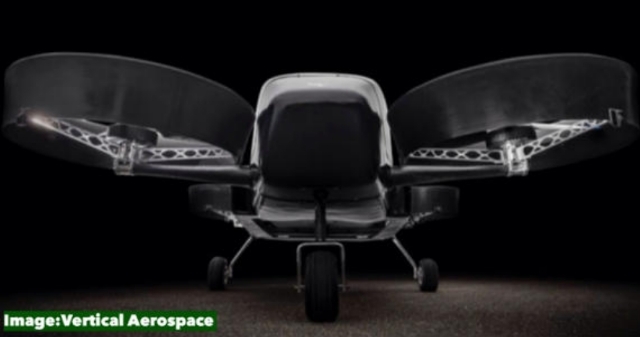 Bristol-based start-up Vertical Aerospace, which was founded in 2016, has taken to the skies to become the UK's first electric vertical take-off and landing aircraft, with hopes of launching an 'air taxi' service within the next four years. The aircraft which has four propellers at the front and back aiding it's ability to take-off and land vertically, will be able to travel between "exact locations" without having to land at designated aircraft landing spots. Test flights took place in Kemble, Gloucestershire, after the company obtained permission from the Civil Aviation Authority to operate the prototype. Vertical Aerospace said they hope to launch an intercity air taxi service by 2022. The race for the skies has become extremely competitive with a number of different companies working on their own "flying taxi" projects including ride-sharing giants Uber, British luxury automobile kingpins Rolls Royce and German based start-up Lilium, who made the world's first electric vertical take-off and landing aircraft in 2017. According to a report in the Telegraph, the Bristol-based start-up will focus on specific intercity routes such as journeys from Bristol to London, or Sheffield to Liverpool.